I’ve spent the past 8 weeks or so developing a set of materials for the assessment (finally submitted on Monday!) of the materials development module on my M.A. in ELT at Leeds Met, and one of the threads of this set was the development of metacognition. As such, it’s been uppermost in my mind for some time now! As far as developing listening skills goes, I would highly recommend reading Vandergrift and Goh (2012): Teaching and learning Second Language Listening, which lays out the theory behind the development of metacognitive awareness, a pedagogical framework for bringing it into the classroom and example activities which demonstrate the practical application of it all. Very inspiring. I do believe, however, that this approach can be useful not only for listening but for development in all four language skills and that if our materials do not reflect this (my assessment materials did attempt to! ), then we, as teachers, can compensate for this in how we use these materials in the classroom. The idea behind developing metacognitive awareness in listening is that if learners are more self-aware, task-aware and strategy-aware, they will be able to help themselves listen better when the teacher is not there to do this for them. Many course materials provide listening practice – you have your readiness activities, your listening text, various activities based on the text, form focus etc, and if you’re lucky, then you’re using a coursebook that does this effectively or you’re free to pick and choose the materials you use, in which case you sequence your choice of materials and activities in the manner you believe to be most conducive to learning. However, what about the learners in all this? They dutifully do the activities, and we, as teachers, often assume our purpose of using them is crystal clear. The reality, though, is that if you ask them why they think you have requested that they do a particular activity or sequence of activities, they will probably reply (as did the group of IELTS learners I put this question to yesterday during a class I covered, in the context of a vocabulary activity) with a mixture of blank expressions or “to help us improve our English, teacher” –type responses combined with a quizzical look that appears to wonder why such a clearly obvious thing would be questioned. If you think about it, learners are not generally encouraged to question materials. Some materials, promoting critical thinking, encourage questioning of the texts therein – for example in terms of writer’s purpose, choice of language and how it affects the reader/listener and so on – but very rarely are they required to question the activities themselves or the approach behind these. Materials are usually the authority, they know best. I think this is a pity because a lot of time and effort goes into developing learning materials and they strive to combine activities that will promote most effective language learning, and we as teachers put a lot of time and effort into deciding how we can exploit them most usefully. We try to include a varied diet of activities, so as to meet as wide a variety of learner preferences and needs as we can. We know that any given activity will be more useful to some learners than others and vice versa. Different learners are engaged by, enjoy, struggle with, find useful, are challenged by and are bored by very different activities. There is a lot that learners could learn from all this. Perhaps, then, as well as attempting to meet all these different needs and styles within a lesson, we can go a step further: We can encourage learners to think about why they are doing/have done a particular activity, what they have got out of doing it, why they found it useful/challenging/boring/difficult. It could be that if they are convinced enough by the purpose, then they will try harder next time to overcome the negative response they felt towards it this time round, perhaps developing a style of working that isn’t their first choice but may benefit them in the long run. As their understanding of the different activities found in their materials increases, they may be better able to apply the principles behind these to their encounters with language outside of the classroom. Taking this a step further, we could encourage learners to collaborate and create their own activities, based on authentic materials (“the language produced by a real speaker/writer for a real audience, conveying a real message” – Gilmore, 2007. Note there is no mention of the native speaker here, so this can apply to texts produced by any user of English) of their choice, for use by their colleagues. (For any who may be interested, creation of own materials for learning comes under level 4 out of 5 of Nunan’s (1997) levels of implementation [I’m glad I noticed that Word auto-changed implementation – presumably with a typo – to implantation! That could have sounded a bit dodgy!] of autonomy and level five is the highest level, where the learners connect their learning with their language use in the real world). This would, of course require some guidance. Vandergrift and Goh (2012) provide a useful example task scaffolding this process of learner production of materials for use with listening texts. Start building critical reflection into your lessons gradually. So for example, you could start by using a Demand High technique, mentioned by Jim Scrivener in his Classroom Management Techniques book: At the end of the lesson, instead of just bringing the final activity to a close and sending your learners off home, ask them what three things they found most useful in that lesson and, all-importantly, why. Give them time to discuss in pairs and/or groups. Encourage them to appreciate everybody else’s responses and reasoning, which will no doubt be influenced by previous learning experiences and current learning habits. Subvert your course book (they tend to follow a predictable pattern so breaking it can spice things up). Or your usual approach to sequencing activities. Skip an activity/a stage that you would usually use to help the learners. (But be nice about it – explain that today you are going to do things a bit differently before launching into a different game plan: get them on board and ready to spot the differences!) Build in time for discussion following your atypical choice of activities/sequencing and get learners to think in what ways the lesson was different, and what impact this had on how easy/difficult they found the (reading text/listening text/speaking task/writing activity etc.). In this way, learners will become more aware of the value of different activities for them, in approaching texts or tasks. At the end of a course book unit, build in a reflection and evaluation phase, where learners look back over the unit and identify what they have learnt, what activities they found most useful and why. At the beginning of a course book section, get the learners to look at the sequence of activities and interrogate the choice/sequencing of activities, to consider whether adding an activity in anywhere, or omitting/substituting an activity might help them. Get learners to work in groups, give each group a reading text and have them create an activity, or sequence of activities, based on this for use by one of the other groups. They will, of course, find this easier if they have a better understanding of the activities used with texts in their course book or provided by you. As with anything, don’t try and do it all at once – the learners might think you’ve completely lost the plot and run away. Do it gradually, bit by bit. Experiment. Make sure the learners understand why you are asking them to do things they may not be accustomed to doing – like thinking for themselves and critiquing their learning materials/teacher’s activity choices. Don’t over-do it, anything over-done goes stale! Finally, be supportive and open to feedback from them, so that you can also learn from the process. Gilmore, A. (2007) Authentic materials and authenticity in foreign language learning. In Language Teaching vol. 40. Cambridge University Press. Cambridge. Nunan, D. (1997) Designing and Adapting Materials to encourage Learner Autonomy in Autonomy and Independence in Language Learning. Benson and Voller (ed). Pearson Education. Harlow. Scrivener, J. (2012) Classroom Management Techniques. Cambridge University Press. Cambridge. Vandergrift L. and Goh, C (2012) Teaching and Learning Second Language Listening. Routledge. Oxon. This entry was posted in Classroom Talk, Learner Autonomy and Metacognition, Materials Development and tagged Leeds Met Delta / M.A. 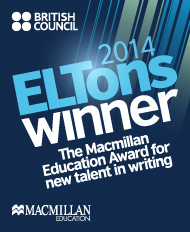 ELT, Materials, materials development, metacognition, skills development. Bookmark the permalink. ← Part 2 – Coming to the end of my M.A. in ELT: Taking stock. Thank you so much for responding so comprehensively Lizzie. There are some really useful ideas there, and I’m looking forward to experimenting with them! You’re welcome. I think this post has been brewing away for a while now, but it never occurred to me to write it! So, thanks for the inspiration. I look forward to hearing about how you get on with trying out the ideas – when you do try some stuff, how about writing a guest blog for me about how you got on with it? 🙂 Lizzie. 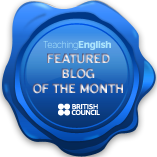 Just to let you know that we’ve shortlisted this blog post for this month’s TeachingEnglish blog award and I’ll be making a post about it on Saturday’s TeachingEnglish facebook page http://www.facebook.com/TeachingEnglish.BritishCouncil, if you’d like to check there for likes and comments. Thank you! I will have a look!! Hello, Ms. Lizzle. 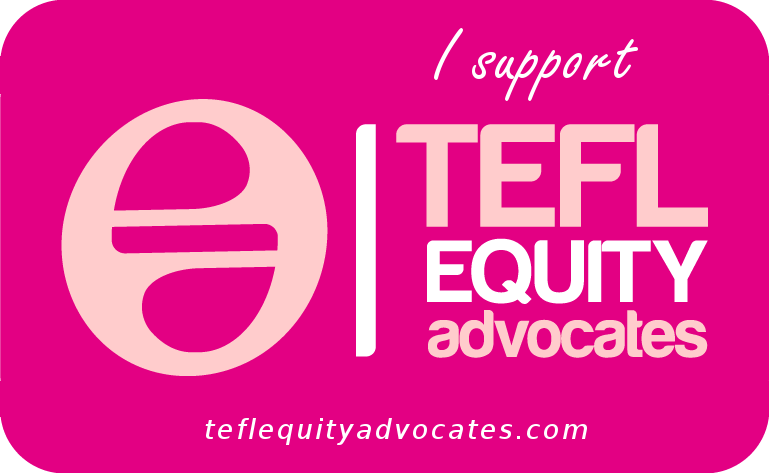 I am a special education resource teacher and last year I taught Resource English 9-12. I used metacognitive thinking marks and technology such as Dictionary.com speech app and Reading Pen 2 to help my students read complex text. My students also did an enormous amount of researching learning in order to grain the appropriate background knowledge for the text. Your blog will assist me in improving my knowledge and skills.